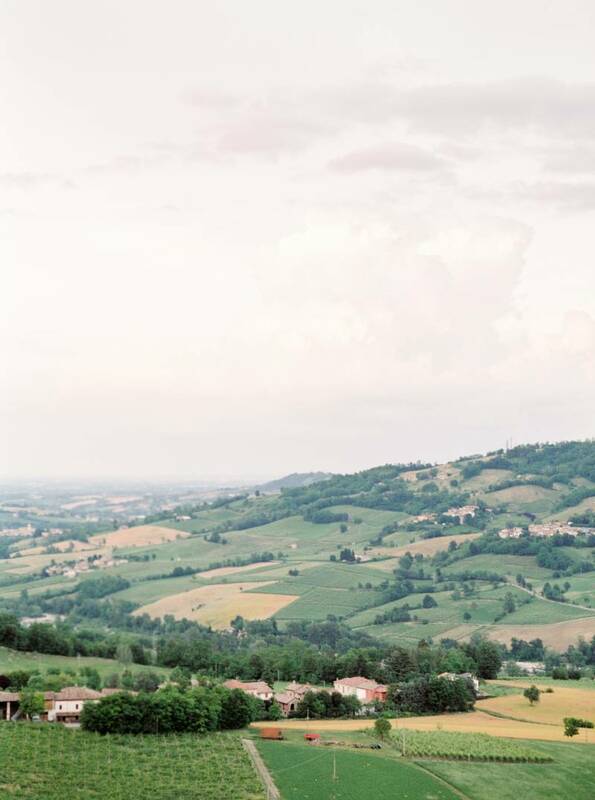 I challenge you not to fall in love with this stunning elopement by CHYMO & MORE. 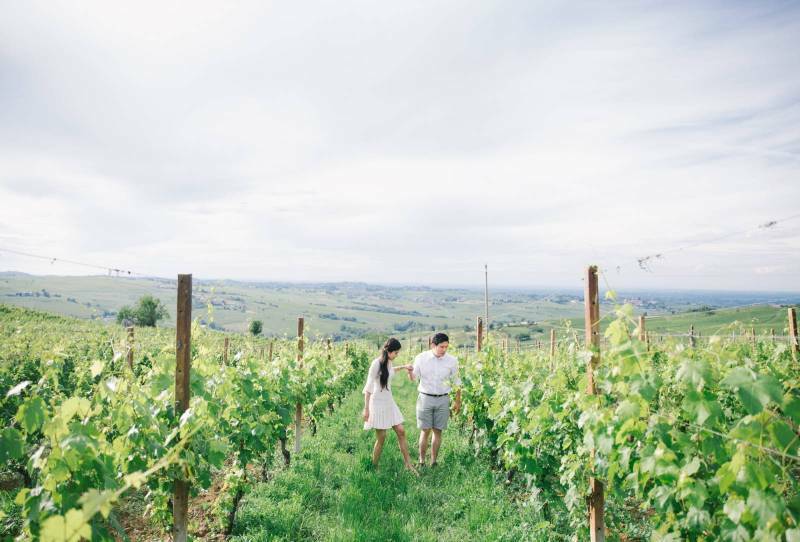 Held in a countryside villa in the mountains near Milan last summer, Tina & Jay travelled there from their home in Hong Kong. 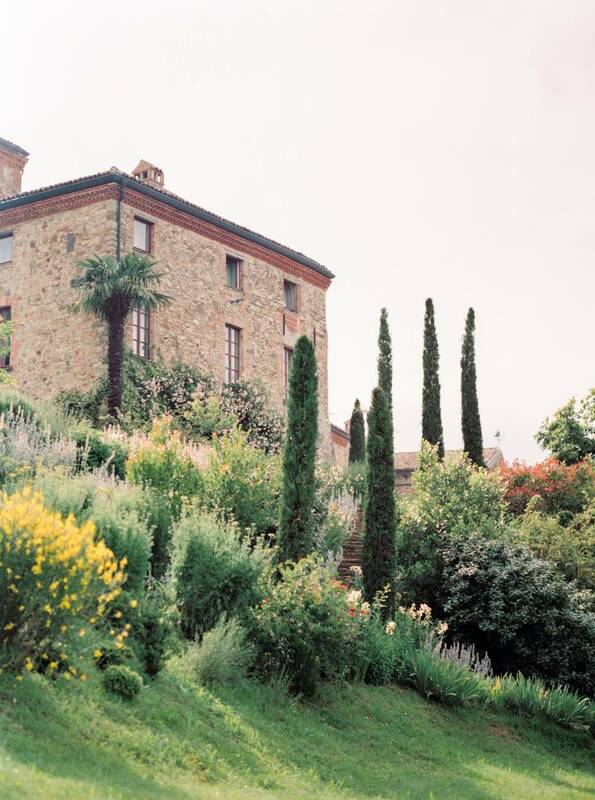 As big fans of the beautiful ancient villas and castles in Europe, they fell in love with the serenity and 'out of this world' character that CASTELLO DI TASSARA had to offer. Looking like it belonged in a middle-age fantasy film it sure made for a beautiful backdrop to their photos. Chymo tells us, "The day started with a boudoir session with Tina early morning. The villa has various stunning rooms and hallways, perfect when the weather is unpredictable in the mountains. It was a moody and quiet morning; the rain kept falling while Tina wandered around the hallway barefoot, listened to the raindrops and read books. It felt like we were living out a poem. Then the rest of the day turned out to be dry and sunny. 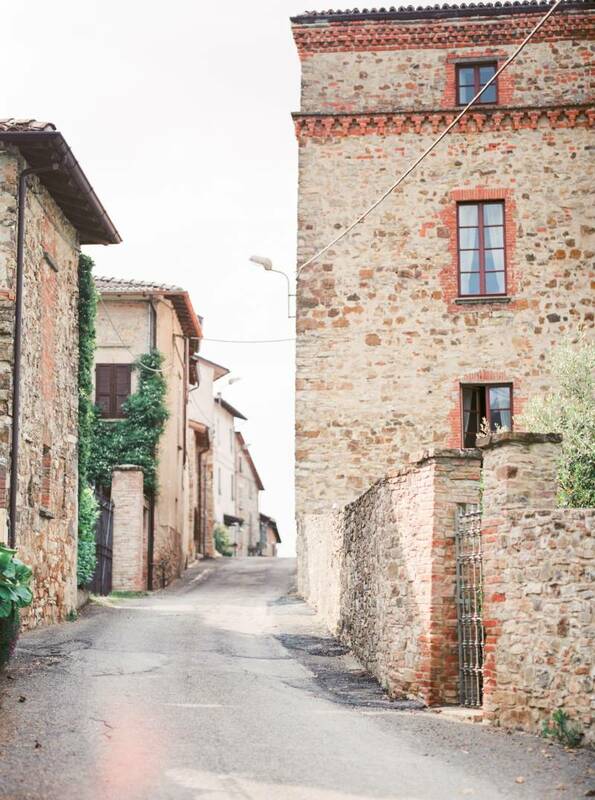 Tina & Jay had their elopement in the village church, and then continued the photoshoot around the streets of Tassara. The light, the energy, the scenery...everything was perfect. I also helped them prepare a table for two and enjoyed a bottle of champagne together. We ended the day driving out to the vineyards for a breathtaking sunset and some laughters. It was simply magic." HOW DID YOU MEET? He is old classmate of a good friend of mine. This mutual friend brought us together. TELL US ABOUT YOUR PROPOSAL: During our trip to Macau, we were able to be upgraded to a beautiful suite villa including a private pool. He proposed to me by the pool. ANY DIY ELEMENTS? The belt on the wedding dress is hand-stitched by me. I also made the boutonniere for Jay using flowers from the garden outside the villa, such as fresh lavender and rosemary. FAVOURITE DETAIL OF THE DAY: The table setting is one of our favourite details of the day. Also really loved that we were able to pick up fresh flowers and plants from the villa and incorporate them in the design. It was spontaneous yet makes everything so special to us. MOST MEMORABLE MOMENT? Definitely the weather. We were a little upset that the day started with pouring rain, but the sun came out in a few hours and we were blessed with a really beautiful sunny day.